ControlMoney a great Finance App! Install and get latest updates about Indian BSE Sensex financial market, monitor your portfolio. Download and install the app now. It is fast, easy-to-use and great! Track the latest updates on Indian financial market on your smartphone with the new ControlMoney App. It covers assets from BSE exchange, so you can track Indice (Sensex). Also, monitor your investments. Stay updates with the wide range of information. - Easy navigation to all financial data, portfolio. - Latest quotes of stocks from BSE. 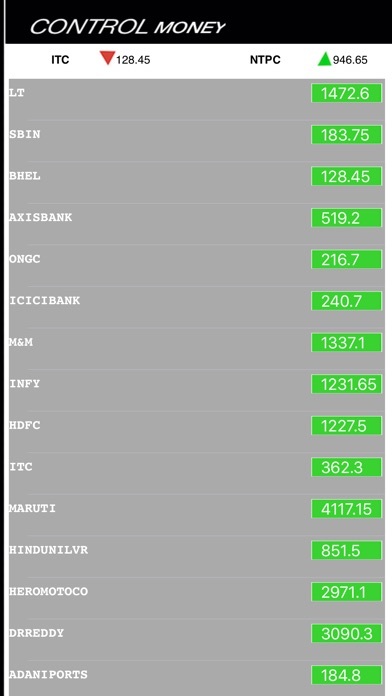 - Live prices of Sensex. - In-depth market stats for stocks. - Interactive and historical charts with Line chart type. - Monitoring your portfolio across Stocks. - Timely updates on performance of your portfolio. - ControlMoney app is powered by ControlMoney - India’s Great Financial App.